Keep your eyes on the floor and watch the fun unfold! 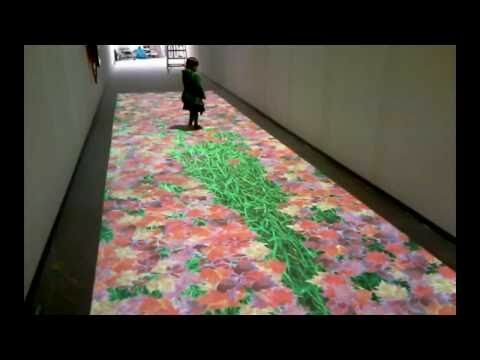 With YourFloor Interactive Floor, a once boring floor surface becomes an exciting, digital playground. If you move near, on or over the floor, your actions trigger an amazing visual reaction. Users can play soccer, kick leaves, stomp in puddles, start dancing, or simply watch the magic unfold. What can a Interactive Floor do for you? How does an Interactive Floor work? YourFloor projects captivating special effects and multimedia content onto the floor surface. Using specialist software and motion camera technology, the interactive floor responds to the slightest movement and puts you in control of a spectacular multimedia display. An Interactive Floor is the perfect advertising and marketing tool – with everyone ‘playing your game’, the opportunity to promote your brand, product or service is golden. And if you’ve got an out-of-the-box marketing idea or solution, chances are we can accommodate that too. Check out 10 of the standard Interactive Effects we have to offer! Attention: Google Chrome that does not support the Unity Web Player plugin needed to run this app. We recommend using another browser, such as Internet Explorer, Firefox or Opera. Please be sure to view the link on a desktop PC or Mac. You will be asked to accept the UNITY plugin. Integrates custom Interactive Effects developed and scripted in-house.